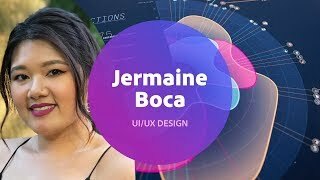 Join Designer Jermaine Boca on Adobe Live as she designs and prototypes an email marketing mobile app in Adobe XD! This week Jermaine will design and publish an interactive prototype that allows users to create engaging email campaigns on-the-go! Today, Jermaine wireframes her user experience layout. Jermaine is a graphic and UI/UX designer based in Philadelphia. Learning some stuff when Paul started that pigeon drawing. Thanks Paul!